Do you have a Smart TV? The devices have become increasingly popular and many on the market today now come with apps built in. Even set-top box maker Roku has launched a service that manufacturers can use. One of the top makers of big screens is Samsung and it aims to stay near the top of the market with its latest feature that it calls Smart View. Its currently a beta and only available on select TVs, but it works with the app on Android, iOS and Windows PCs. The service was originally designed to work with Galaxy devices, so this is an attempt to expand and encompass a greater range of customers, which makes good business sense. The range of TVs this works with is fairly broad, but you'll need one manufactured since 2011, up until present you should be fine. 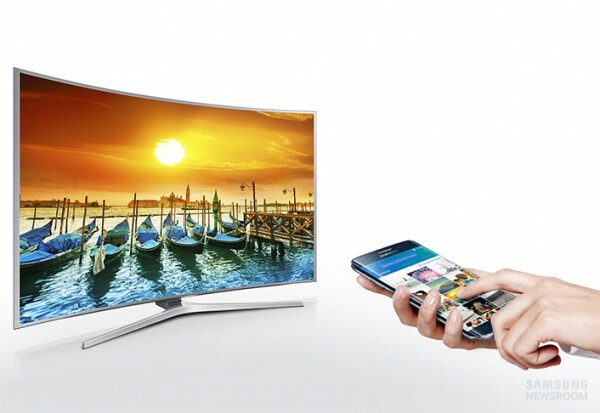 "Once a device is connected to the same Wi-Fi network as a Smart TV, consumers can immediately use the Smart View service simply by choosing which TV set to connect with. At the push of a button, this intuitive, newly designed app can instantly transfer content stored on mobile devices and PCs to TVs. Consumers can also use multiple functions simultaneously, and access other apps on their mobile devices without affecting the sharing function. For example, consumers can browse the internet on their smartphone, while watching a movie via Smart View on their Samsung Smart TV", the company announces. While this is a beta version for now, Samsung expects to launch the final product in early 2016. Customers can find out more and get download links by visiting www.samsung.com/smartview.